Last night I watched one of my favorite movies; The Fountainhead. Gary Cooper stars as architect Howard Roark, a stubborn and uncompromising individualist. His designs are uniquely his, rejecting tradition and the opinions of the experts. Because of these attitudes, he is a threat to those who require subservience. As I seek to create, to find my own vision, Howard Roark has the ideals and standards that I admire; strong, confident, independent, and uniquely creative. “I don’t make comparisons. I never think of myself in relation to anyone else. I just refuse to measure myself as part of anything. I’m an utter egotist. Tooey is devastated, for his self worth is measured externally by how others view him. Roark gave him the worse blow he could have received, he didn’t hate or admire Tooey, he didn’t think of him at all. This is how I wish to live my art; Independently, strongly, passionately and confidently. My only measure of success shall be against my own internal standards. I simply seek to develop my talent and to express myself through my art. To be able to do that, and to be true to myself, is success. I love Weston’s work, but I love his attitude even more; he created for himself. What in retrospect could you share with me about your journey. 1. I stopped thinking like a photographer and started thinking like an artist. 2. 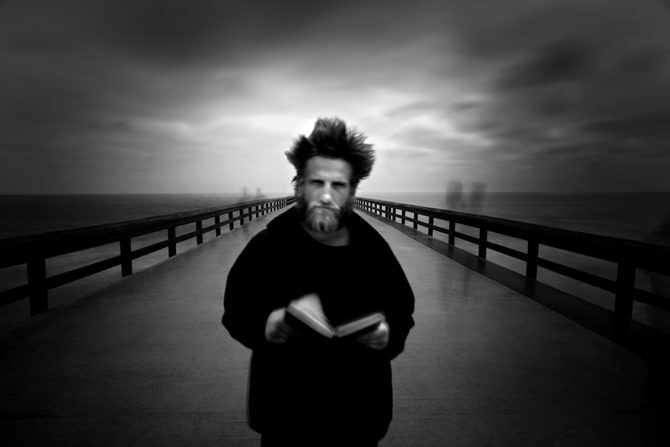 I quit looking at other photographer’s work; it lead to imitation and limited my imagination. 3. I stopped listening to other’s advice on my work; it was sincere advice but it came from the perspective of their vision, not mine. 4. I strove and am striving, to find my own style. I am certain there will be those who disagree with these points, but remember I do not offer them as advice, but only share what worked for me. Never center the subject! Everyone knows that rule. I don’t like rules and I don’t like being told what to do. So I was taken aback when someone told me that my image of the Angel Gabriel (Click Here) didn’t work because Gabriel was centered. I had to disagree, that’s exactly why the image works! I created the image above last week in San Diego, at LaJolla cove, its title is “Opposition in all Things.” Yes, I know it’s centered, and yes I know that breaks the rules! It’s not a masterpiece, but part of it’s charm (in my opinion) is that it’s centered. I like it like that. I do readily admit that I’ve had this fascination with centering subjects for more than a year now, and I quite expect that I’ll have a new fixation next year. That’s okay, but what’s not okay is not trying something because of some dumb rule. There are lots of “rules” in photography and I’m not sure who declared them rules, but I like to think of them as “vague suggestions.” Sure they might make sense some of the time, maybe even most of the time, but certainly not all of the time! If you’re looking for “Kodak Moment” then follow the rules. But if you’re looking to create great images, ones that you really love, then break the rules and see what you get. You might be surprised. Why is there so much cancer around us? Is there really an increase in cancer rates or is it just talked about more? Is it safe to microwave plastic ware? Does organic food really help to prevent cancer? I have so many friends, family members and associates with cancer that I ask myself these and many other questions. Yes, we’ve improved the treatments for cancer, but it so often seems to come back. Our treatments don’t seem to be addressing the root causes of the disease. When I was a teen in 1971 we declared war on cancer, I think 20 years was the goal. It’s been almost 40 years now and the cure still seems to elude us. 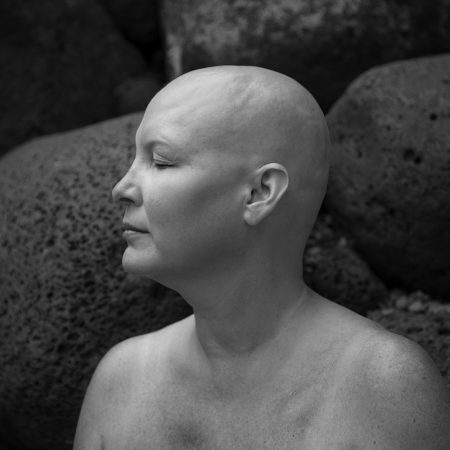 I had the chance to photograph a friend who has cancer, had a mastectomy and is undergoing treatment. These photographs are about the human side of the disease. “Jesus Loves You” has been coming to this Market and Powell intersection for seven years. No preaching, no condemning, no judging. Just patiently carrying this sign. The day I took this picture, was one year to the day that I had first met him. The pier was very crowded and I wanted to take a 30 second exposure so that everyone would disappear except Gabriel. We tried a few shots and then Gabriel wanted to mess up his hair and hold his bible. The image worked and the only people you can see besides Gabriel are those “ghosts” who lingered long enough for the camera. Gabriel and I then went into a restaurant to share a meal; he ordered steak with mushrooms and onions. When it came, he ate it with his hands. I discovered he was Romanian and so am I, so we talked about Romania. He was simple, kind and a pleasure to talk with. I asked Gabriel how I might contact him, in case I sold some of the photographs and wanted to share the money with him. He said I should give the money to someone who could really use it; that he had everything that he needed.